A previous story misquoted Mike Mallen about the car count close to the foundry property. The count is 100,000 cars a day, not 100 cars a day. This story was updated Jan. 10, 2019, at 2:25 p.m.
David DeVaney of Charter Real Estate Corp. When longtime Chattanooga commercial real estate broker David DeVaney looks at South Broad Street, he sees the Main Street area downtown a decade and a half ago. "People didn't want to go there," DeVaney says. But today, Main Street has emerged as a backbone to the growth of downtown's Southside with an array of new housing, restaurants, and shops nearby. DeVaney, president of Charter Real Estate Corp., says South Broad between Interstate-24 and St. Elmo could grow in a similar fashion, given its proximity to downtown and the interest from a new pro soccer team, the Chattanooga Lookouts and others over potential multi-use stadiums in the area. "A lot will center around Wheland Foundry and U.S. Pipe and when that gains momentum," DeVaney says. 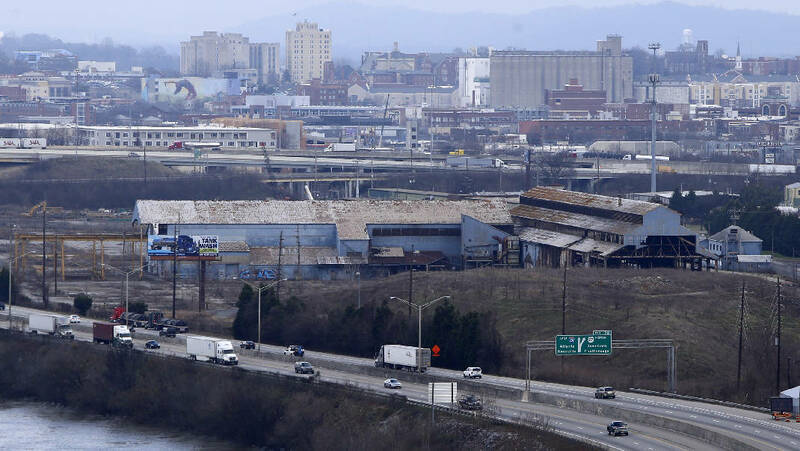 The 141-acre foundry site sits between South Broad Street and I-24. A group of local investors bought Wheland Foundry after it shut down in 2003 following 136 years of operation. Three years later, they purchased the adjacent U.S. Pipe property when that business closed after more than a century. The South Broad District Plan has suggested a multi-use sports and entertainment facility for the foundry parcel. 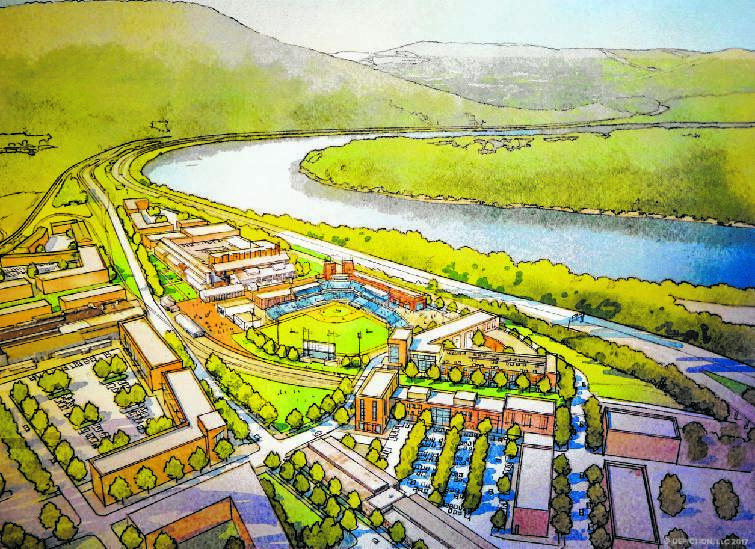 The report foresees an array of new housing along with commercial and retail space, upgraded parks, streets, sidewalks and other infrastructure, including the new minor league ballpark and entertainment facility to serve as a catalyst for development. The 128-page plan was issued after a series of public meetings in the fall of 2017 that drew several hundred people to provide a vision for that area's future. The Chattanooga Design Studio report also mentioned a Howard School campus better connected to the area. In addition to a new football field and track, already endorsed by school leaders, there were discussions of tying the school to the neighborhood by use of improved streets, sidewalks and park upgrades. Mike Mallen, a partner in the foundry property, says his group is working toward finding a master developer of the site. "We're seeking site developers who have experience with these kinds of overall undertakings," he says. Mallen says there could be interest by developers in an overall undertaking or a more phased-in approach. "We're engaged in the vetting process," he says. "We're very carefully and thoughtfully going through the vetting process. It's very intricate. We want to do it well." Mallen adds that his group is "absolutely still interested" in a multi-purpose sports facility for the site. "There's 100,000 cars a day close to the property," he says. "There's no other site that can compare in terms of visibility and car counts between I-24 and South Broad Street. I think that's what will carry this through to fruition." Within the South Broad corridor, some projects are already underway. The 100 at South Broad housing development by builder Ethan Collier of Collier Construction is well on the way of constructing a new neighborhood. The extension of the Tennessee Riverwalk through the foundry site and to the edge of St. Elmo is done. A Publix supermarket, along with some small shop space, has been proposed at South Broad and St. Elmo. One of the biggest new housing and commercial projects in the South Broad Street corridor in years is planned with hundreds of townhouses, apartments or condos slated for the site. A 15.6-acre tract off West 33rd Street across from Chattanooga Christian School could hold up to about 450 housing units, according to planning documents submitted to the city. An adjacent parcel at South Broad and West 33rd streets also would hold about 48,000 square feet of small-shop space, said Justin Tirsun of Chazen Engineering. Clint Dean, who owns the Chattanooga construction services business Modus Build, says there's a lot of interest in the South Broad Street area. "It's one of the hot areas in town," he says, also citing Main Street and the Southside moving out out toward Dodds Avenue. Dean says land purchases in the areas are rising and property is being bought and then quickly resold, or flipped. "That indicates developers are getting interested for future development," he says. Dean says the Chattanooga Red Wolves, a new professional soccer team, also is looking for property in the South Broad District on which to put a new stadium for its use. "It feels like it's taking off," he says about South Broad. At the same time, however, it may take time for the area to redevelop, DeVaney says. "It will be a slow-growing process," he says. "It will be a positive development, but it may take time." Much could depend on whether the multi-use stadium lands on the foundry property or whether the Red Wolves build a stadium development near Chattanooga Christian School. "I think it's important," Devaney says of the multi-use stadium, adding he's not saying that's where the stadium should go. But, if it does, DeVaney says, it will generate a lot of growth and revitalization. A rendering of the South Broad Street District shows a potential new multi-use stadium on the Wheland Foundry/U.S. Pipe property.